The Governor’s Conservation Awards, developed by the National Trust for the Cayman Islands and endorsed by Governor Helen Kilpatrick, aim to recognize outstanding achievement in the field of historic preservation and environmental conservation in the Cayman Islands. At the awards ceremony held on Tuesday, Nov. 8 at Government House, the Crystal Caves won the Tourism Industry Conservation Award. According to a press release, judges sought candidates who have implemented or significantly contributed to a conservation project or activity aimed at protecting biodiversity, wildlife, endangered species, or places of environmental significance. Other qualities judges look for include the nominated organization offering services which promote and highlight Cayman’s natural resources and/or heritage, that it incorporates sustainable measures, and that it provides an educational component to their visitors. 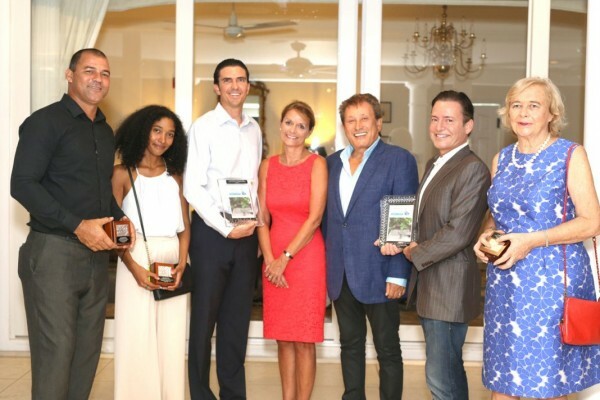 “On behalf of Cayman Crystal Caves, my business partner Ergun Berksoy and I would like to thank the people of North Side and all those devoted Caymanians who have been part of this project for so many years, making this unique nature attraction possible,” said Crystal Caves developer Christian Sorensen.